Summertime on the Gulf Coast means beach weather, new swim suits, sand everywhere, and, of course, food. 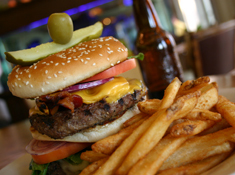 It’s hard to think about summer without delicious burgers, your favorite drinks, and ice cream. To make it easy to satisfy your cravings, we’ve put together a list of some “must have summertime delicacies” to try. If you’re looking for a Southern-style breakfast with something special for the kids, The Hangout is hosting a “Pirates and Princess” themed breakfast every morning until Sunday, August 31st. Kids are encouraged to dress up, and there is a scavenger hunt every half hour (starting at 8:30 A.M.). 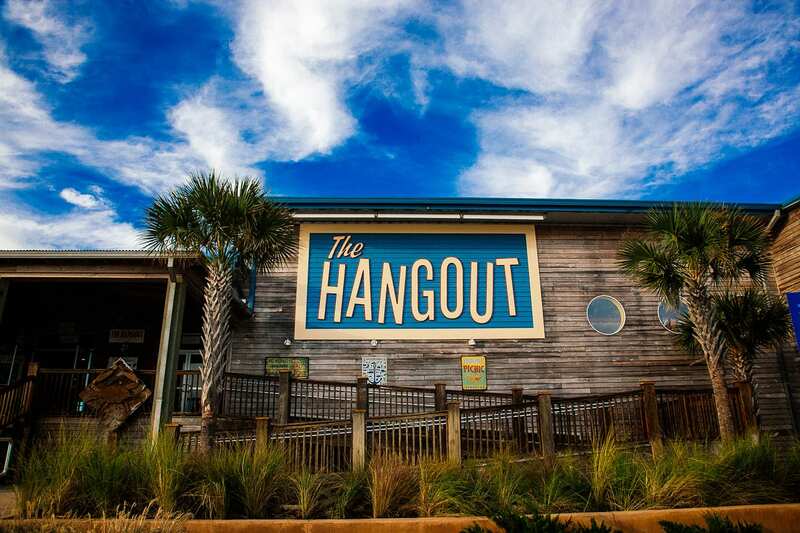 Breakfast is served every day from 8:00-10:00 A.M. Take your family down to The Hangout which is located on Highway 59 at 101 East Beach Boulevard. Even while showing off your beach body on vacation, you still crave that greasy hamburger, and it’s not hard to find down here on the Gulf Coast. From burger with a view to Lulu’s famous cheeseburger in paradise, you don’t have to go far to find something new and interesting or the same ole’ same ole’. The Gulf in Orange Beach, Alabama always surprises its customers with its upscale view but casual dining. If you’re lucky, you might see a dolphin or two while lounging in an outdoor couch. Looking for something more classic? Lulu’s cheeseburger in paradise (everything on the burger is local – even the bun) or Tacky Jack’s burgers are always good and reasonably priced options. Bushwackers are considered the Coastal Alabama signature frozen drink. There is something refreshing about a decadent smoothie of dark run, Kahlua, coconut and crème de cacao. We consider the Bushwacher to be one of the best frozen drinks on the coast. You can find a Bushwacker anywhere on the island but some of our favorites include Pirates Cove, Flippers and Flora- Bama. If you are going to partake in this drink delicacy, then we suggest a two drink maximum. What better than a successful day out on the boat? Not having to cook the fish you caught! Eating fish that you’ve caught yourself prepared by a real chef is not only delicious but also has the added taste of pride; you did catch it after all! Here is a link to previous blog post with locals restaurants that will “cook em’ if you hook em’”. After a long day in the sun, nothing is better than delicious, cold ice cream topped with your favorites. On the Gulf Coast, there are numerous small and local ice cream shops for you and your family to enjoy a scoop or two of ice cream. Looking for something homemade? Matt’s Homemade Ice Cream has had nothing but positive reviews since opening, and you can’t go wrong supporting a local business. Shake’s is another popular one in the area, and their iconic sundaes are amazing! You can also never go wrong with Dairy Queen which is located in the same shopping center as the Orange Beach Publix. If you tried any of our recommendations, let us know on Facebook or Twitter! We hope you are making memories and staying safe during your time on the Gulf Coast. Eat as much as you want; you’re on vacation.